SilencerCo wants your next hunt to be a success. For avid outdoorsmen, the SiCo Harvester 300 is a great suppressor to call upon when in the field. 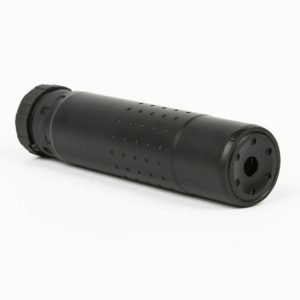 A reliable and durable rifle can, this unit surpasses your long-range precision shooting needs. Game beware. Headquartered in Utah, the pioneering SilencerCo team designs industry-leading suppressors in various categories. Being hunters themselves, creating a can that provides spot-on accuracy and impressive sound reduction (136.4 dB on .300 WM) was a priority for this crew. The Harvester 300 exceeds all expectations in the 7.62mm rifle classification. 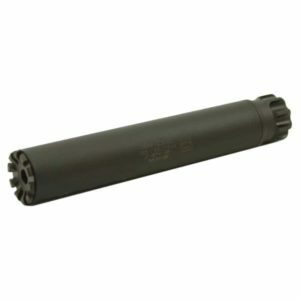 A smaller (8.8”) version of its Harvester 338 brother, this silencer adds only 11 ounces to the barrel of your preferred rig. A direct-thread unit, the Harvester 300 brings convenience and maneuverability to your hunting excursion, two important qualities when navigating the wild. Specifically engineered to facilitate quick target reacquisition and follow-up shots, the recoil-reducing Anchor Brake featured on the Harvester 300 is a stroke of genius. 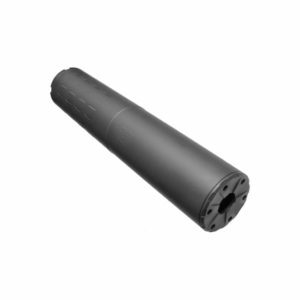 And with a build of aluminum and stainless steel, this SilencerCo suppressor is ready for regular action.